It’s easy to get lost in the hype and seemingly vast announcement of new games during E3. Like most things in life though, one way to stand out is with intriguing visual flair. Yesterday, mxdwn Games reported on the PC Gaming show at E3. During the presentation a stunning trailer for indie developer Shedworks’ Sable was shown. To start, Sable‘s trailer nails a wondrous solitary aesthetic along with music from Michelle Zauner performing through her solo venture Japanese Breakfast. The synths and ambient textures along with Zauner’s spellbinding vocal work mirror the game’s sense of a traveling voice within a vast yet beautiful world. Looking to add perfect minutiae to the game’s world is sound designer Martin Kvale. Kvale has an impressive repertoire, as he’s worked on Owlboy, Keyboard Sports and GoNNER to name a few. Shedworks is the brainchild of the London-based duo Gregorios Kythreotis and Daniel Fineberg. Kythreotis’ architecture background married with Fineberg’s programming skills are clearly a match made in heaven. For Sable‘s story, the team collaborated with writer Meg Jaynath who is known for having written the interactive steampunk adventure game 80 Days. 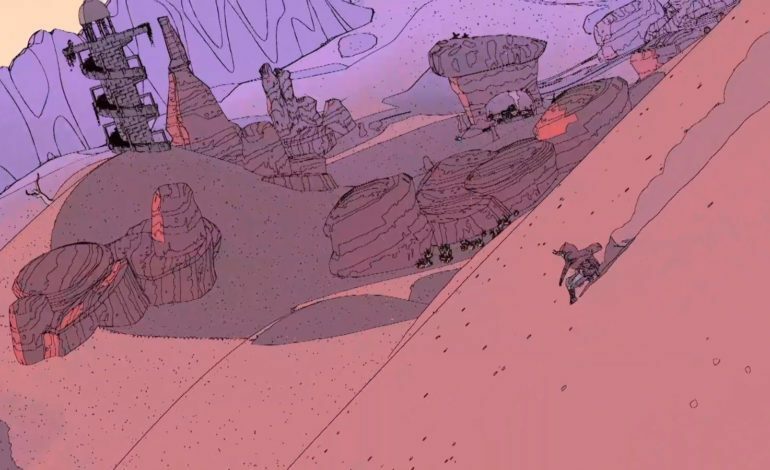 The art and animation in Sable are simply out of this world and should go down as this E3’s best. 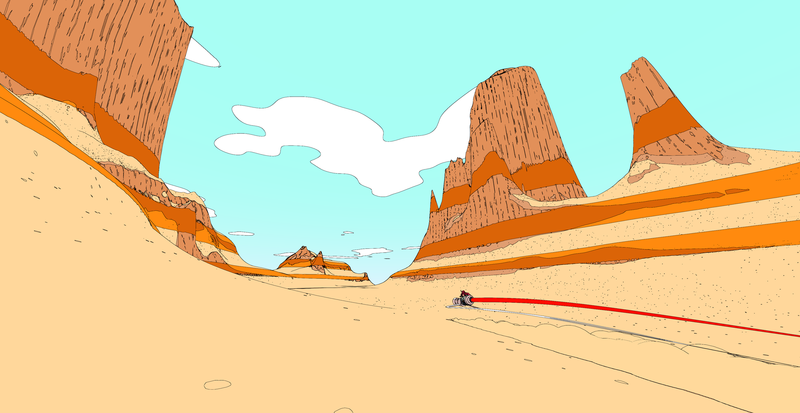 Some have complimented the game’s art as being similar to that of French artist Jean Giraud, who has worked under the name “Moebius”. The unique shading and highlighting techniques along with choice outlining work make Sable‘s screenshots seem like there’ no way they could be animated. Alas, Micah Holland executes fluid character movement that sets this game up to be a potential masterpiece. Per its Steam page, Sable has a current release window of 2019. 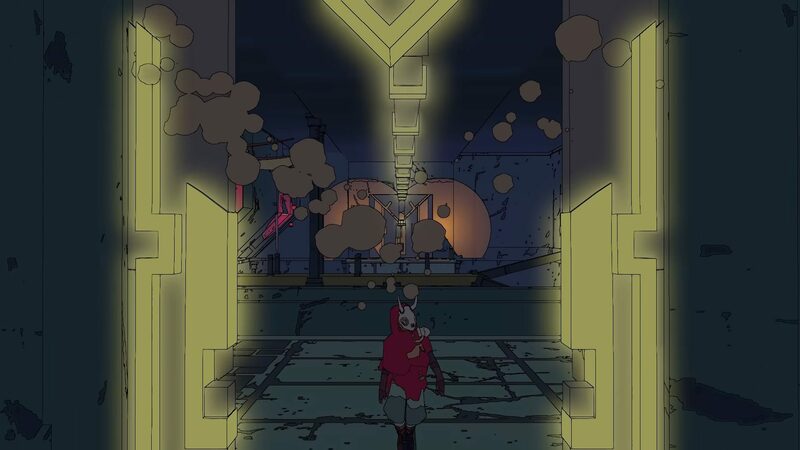 The game is being published by Raw Fury who’ve also published great indie hits such as GoNNER and Dandara.